Ideal the next day cold in lunch box! Believe it or not I first started making these several years ago in a very old Welsh farmhouse! Authentic or what! 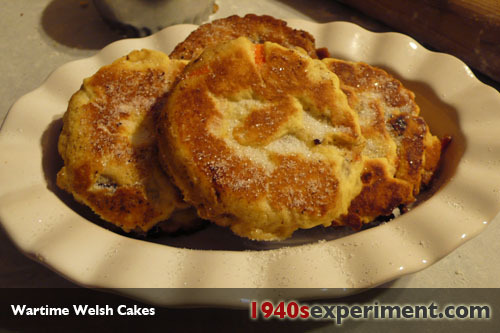 This is a delicious recipe and to me, the Welsh Cakes taste even better the day after where the flavour of the nutmeg comes through. 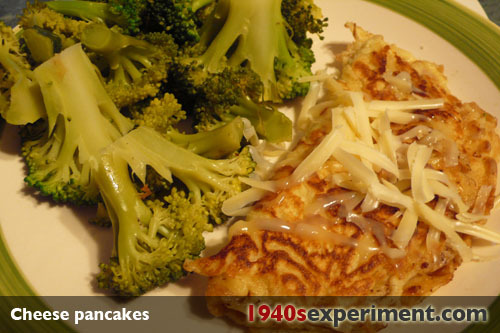 Serve with butter/jam and a nice cuppa strong tea! I HATE throwing anything away…. I am FRUGAL by not only necessity but because I detest wastefulness. I’m not sure where that has come from but it has. Apparently the rationing and the mending and making do philosophy during the 1940’s lived with our grandmother’s for the rest of their lives. We need some of that these days to realize that the way we are living as a species as a whole is not sustainable anymore.. 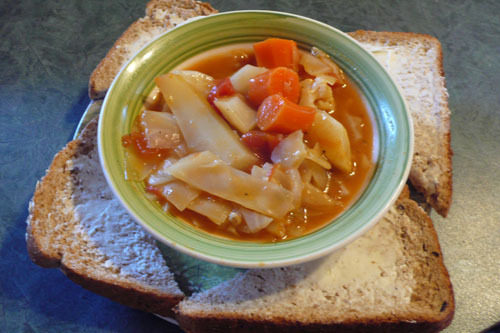 So here’s my own version of veggie stew- it uses up slightly rubbery carrots and potatoes and less than perfect veggies that need disguising but taste-just-as-good-if-you-were-to-wear-a-blind-fold. 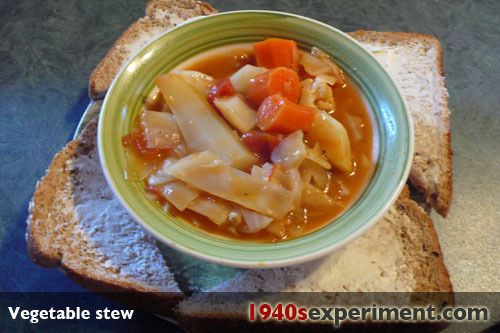 NOTE: You can use a homemade soup in the stew or add corned beef for extra flavour! First of all SORRY for the quality of the photo- if you stare at it for too long you’ll be heading to the nearest ‘Vogue Optical’ for an eye test…… I really miss the Canon Eos Digital (that used to take incredible photos). 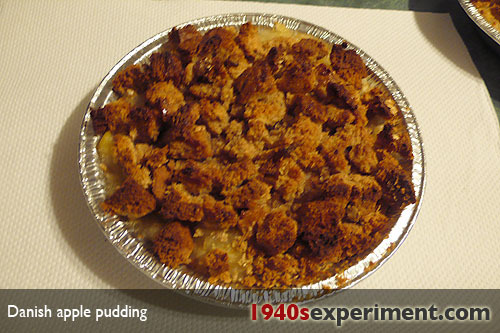 So here is the recipe for ‘Danish Apple Pudding’ that I cooked yesterday. 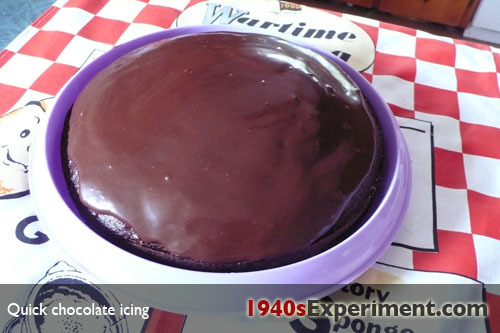 It tasted really nice and was very easy to make. Place apples in saucepan with a couple tablespoons of water and cook over medium/high for 5 minutes or so until apples become soft. Add in the sugar and almond essence and mix thoroughly with fork until mixture is pulpy. 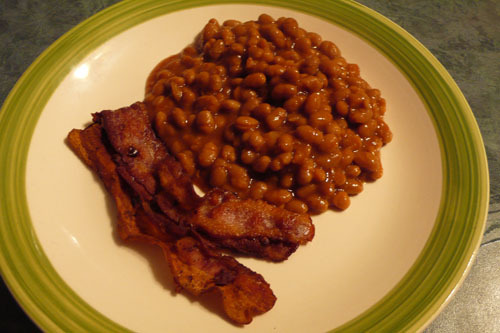 Place in a moderate over (about 180 C) for 45 minutes or until the top is golden. TIP: Make sure the breadcrumbs used on the top layer are quite fine. If you use larger chunks they can resemble croutons! 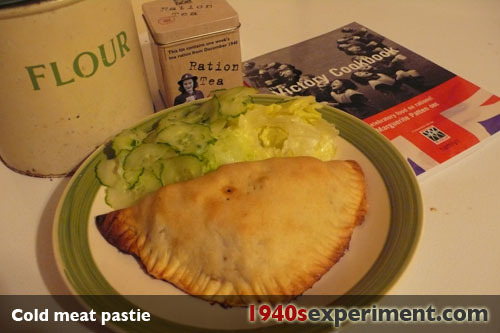 100 Wartime Recipes: Page has now been updated… CLICK HERE for all 1940s wartime recipes that have been recreated and photographed as part of the 1940sExperiment!